Glanton: Social Media Marketing - does it work? Social Media Marketing - does it work? A little while ago I was browsing a blog which advises authors about marketing and promoting their books online - in other words using all the latest Social Networking or Media sites and applications to best advantage. Among the guest posts was one from a clearly exhausted and distressed author. Her book - a novel - had been published a year before by wholly traditional methods: hardcopy; hardback; bricks & mortar publisher; supervising editor; agreed print-run; publicist in charge of post publication promotion. So far so good. However, the author, apparently disillusioned with the effort, or lack of it, from the publicist, decided to promote her book herself - online - employing all the latest buzzy social media applications now available to you and me. And when I say all, I mean all, and she clearly went at it 24/7 with immense stamina and dedication. Alhough she didn't describe her expectations, her very obvious disappointment at the end of the year was explicit in her post. She considered her efforts to have been an almost complete failure. She had spent hours every day blogging and tweeting and joining discussion groups for authors and groups for bloggers and groups for bloggers about books and blogs about book reviews and blogs for book reviews - where she earnestly reviewed other people's books and implored them to review hers. And in the end she realised that her audience had in reality been tiny and all her sweat and dedication probably hadn't affected her book sales one iota. Now, you may say, promoting a book through SMM is likely to be a very different kettle of fish to promoting a business. Despite the obvious difference that the target audiences will almost certainly have little in common, I believe that in a couple of fundamental respects there are clear parallels. I am currently doing both - promoting a book and a couple of businesses online. The parallels are in understanding what you are doing and what the limitations are, and time management. Don't be trapped like the distressed author into wasting hours and hours engaging with tiny audiences who aren't going to buy the 'book' anyway. The bottom line is that there are two quite distinct business approaches to Social Media and it is important not to muddle them - although there may well be some bonus overlaps. 1)Internal: how can this myriad of new applications help make your business run better and be more efficient? 2)External: can the same apps be used to reinforce brand, and market your business? Contact anytime third party Gmail customer care expert will offer you the best online support for Gmail synchronization. You can get in touch with the company’s professional anytime and attain the flexible customer support solutions at a reasonable rate. socialsuccessor is the best and most popular Social Media Management tool currently available, and there is a reason for it being so popular. Using its simple web based dashboard, you can schedule posts, carry out SM campaigns, manage engagement, track conversations, monitor the competition, and measure the effectiveness of the campaign using analytics and generate reports, across all popular social media channels like Twitter, Facebook, Google+ Page, LinkedIn, and Foursquare. Been hunting down such a wonderful blog like this for quite a while. Incredibly composed blog that has transfixed its group of onlookers. A business broker is a person or firm who/which acts as an intermediary between sellers and buyers of small businesses. The process of buying or selling a business requires dedication and the attention have a peek at this web-site a professional with the knowledge of the complete flow of a business transaction, as well as a team in place to accomplish every aspect of the transfer. 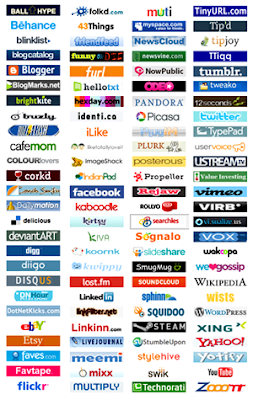 Predominantly about the Social Web, and what can business make of it. 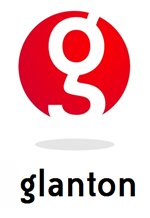 But more than that, it is about Glanton and our products and services. Sometimes humorous, sometimes scurrilous, we don't claim to be 'gurus' - we examine all the possibilities and provide advice about the most effective ways to intergrate 'social media' into your business. We provide web services for medium to large size organisations around the world. Using the Content management System DotNetNuke® we have enabled our clients to build and maintain their own websites that are on-brand and follow brand guidelines. Our clients value the ability to focus on content rather than technical aspects of the site. We also offer site building and maintenance services as well as photographic, graphic design, Flash and copywriting. We pride ourselves on the quality of our service. We are based in the UK and and have staff in London (UK), Hull (UK) Houston (USA) and Brisbane (Australia). For over 25 years, John has created IT solutions for real-world problems. An engineering graduate he soon moved into IT full time and took a traditional career route from programmer, through analysis and design to project management and consultancy. He has run his own business for much of this time and teamed up with Ian at BP in 2001. He brings an engineering discipline to to projects and development, something which is lacking from some of today's technologies and implementations. He enjoys running a distributed team and using technology to integrate people and systems. He is a Chartered Engineer and qualified Project Manager. In his spare time he like to visit friends overseas, study the Apollo programme and try keep his kids from spending all his money! Originally a Chartered Accountant with Ernst & Young around the world, Ian's passion for technology, and experience as fully fledged Microsoft Developer has moved him into a role of solving real world business problems using cutting edge technology and bridging the gap between business and IT. Today, Ian specialises in Web content managment systems, collaboration and knowldge management. Ian lives on the Gold Coast, Australia and when he's not problem solving he loves to spend his time with his wife, three children and Boxer pup being active outdoors. Historian & archaeologist by vocation; jack of all trades, master of one in reality; former e-commerce trail-blazer; naval historian, researcher, writer, editor, blogger, observer, commentator, European. Lives in Greece and Germany with his wife, step-daughters, step grandson, approx. 5 cats, 6 tortoises & 9 olive trees.